Jessica wrote about Jose Saramago‘s works some time ago, citing his dark social satire and language as reasons for his winning the Nobel Prize for Literature. I didn’t read the two she wrote about, but did read The Gospel According to Jesus Christ, The Stone Raft, and All the Names. Now, his final work, which is also his first, has been published. Skylight is the story of six apartments in a single building, each housing people who couldn’t be more different from each other, and nearly all with families divided by their own differences. 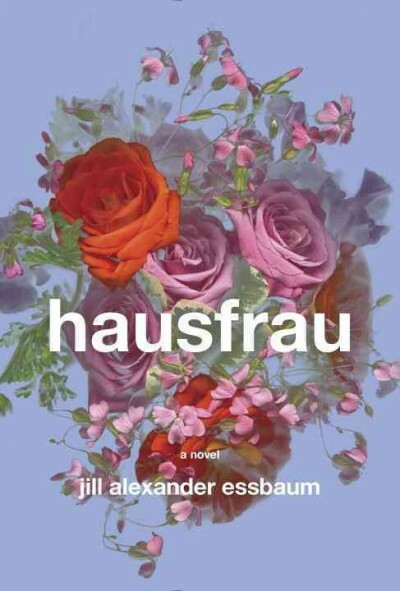 While disputes among neighbors are a staple of news, drama, and comedy, in the real world, clashes within families are truly more fraught, and so it is with this novel. 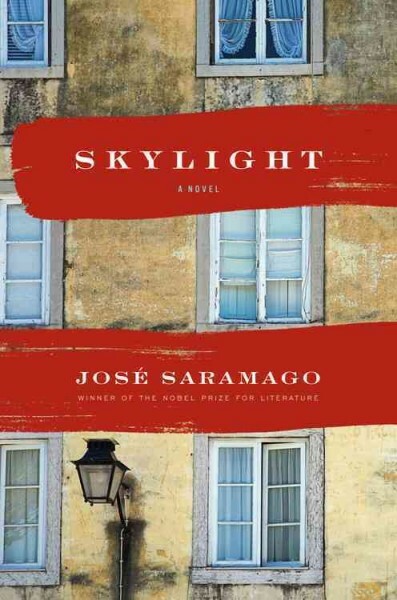 Skylight is an appropriate name for the way he structured the book, which could be read as a collection of short stories, but which also has a novel’s unity. Like a skylight, it illuminates various parts of the building in turn, revealing the weaknesses and strengths of each resident. This is not to say that Skylight is perfect, but it is far more mature than a reader can expect a first novel to be. Perhaps that’s because Saramago wrote it in 1953 at the age of 32 after varied experiences as a laborer, office worker, and opponent of the repressive government in a politically-charged Portugal. Perhaps it’s because we have the luxury of knowing where his future writing would go. Saramago’s next novel wouldn’t be published until 1971, and in that time he sharpened both the language and keen eye that won him honors around the world. And those who admire his work should try the writings of JM Coetzee, Nadine Gordimer, Raymond Carver or, more recently, Damon Galgut. A young boy finds himself trapped in a bizarre library with a sheep man and a mysterious girl in Haruki Murakami’s illustrated short novel, The Strange Library. His journey begins with a trip to his local library to return two books: How to Build a Submarine and Memoirs of a Shepherd. He tells the librarian that he’s also looking for some books, and she directs him to Room 107, located in the library’s basement. When he reaches Room 107, he encounters a cantankerous old man sitting behind a desk. He impulsively tells the older man that he’s looking for books on tax collection in the Ottoman Empire, and he’s presented with three books: The Ottoman Tax System, The Diary of an Ottoman Tax Collector, and Tax Revolts and their Suppression in the Ottoman-Turkish Empire. The boy plans to check out the books and leave the library as quickly as possible; however, he’s told that the books can only be read in the library. He’s travels down another corridor, where he meets a man wearing what appears to be sheepskin. The sheep man takes the boy to the Reading Room and the boy gets another surprise: the Reading Room is a jail cell. The old man locks him in the cell and tells him that he must spend the next month memorizing the content of the books. At the end of the month, the man will question him about the books. If the man decides that the boy has mastered the content, he will set him free. Later that evening, the boy receives another mysterious visitor: a mute girl who brings him a gourmet dinner. Communicating through hand gestures, the girl tells him that her vocal chords were destroyed. After she leaves, he finishes the dinner and starts reading The Diary of an Ottoman Tax Collector. 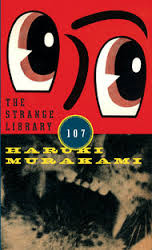 The Strange Library has many elements familiar to readers of Murakami’s work: quirky characters, surreal settings, and sense of melancholy or impending loss. Murakami’s characters in this novel are nameless except for the ones mentioned in The Diary of an Ottoman Tax Collector. This approach is very effective; the boy is an ordinary boy whose seemingly routine trip to the local city library takes an unusual and ominous turn. The lavish color illustrations highlight the surreal nature of the narrative, and the repetitive images, including birds, eyes, and insects, reinforce the unusual nature of the boy’s journey and the people he encounters along the way. Haunting and poignant, The Strange Library is a quick read compared to many of Murakami’s works, but the engaging prose and fantastic illustrations may inspire readers to make return trips to Room 107. Christmastime is always a good opportunity for some re-reading, and this past holiday season I went back to one of my favorite contemporary writers, Ivan Doig. Doig is a masterful chronicler of the lives of those people who settled and built their lives in the Montana territory (and later the state). 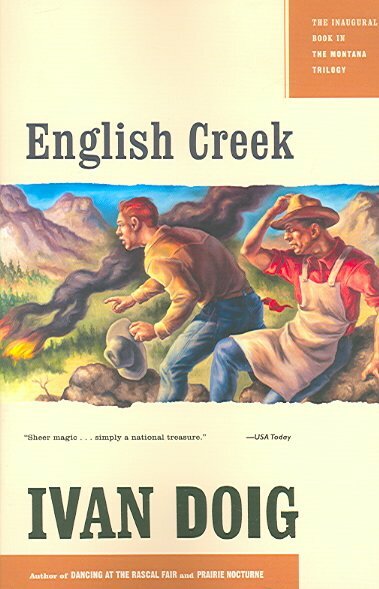 English Creek tells the story of one 1930s summer in the life of fourteen-year-old Jick McCaskill, son of strong parents with deep Montana roots. Much of the action in this coming of age novel is driven by the split between Jick’s parents and his older brother, Alec, over Alec’s desire to forgo college to be a cowboy. Stubbornness on both sides catches Jick in the middle, and he finds himself unable to reconcile his parents and brother, despite his best efforts. Doig has a deep affection for both his characters and for the Montana landscape. He makes both come alive for the reader. Doig also clearly understands how the past affects the present, and English Creek is filled with storytellers who remember the history of the families of Montana’s Two Medicine country and how that history has shaped current events. 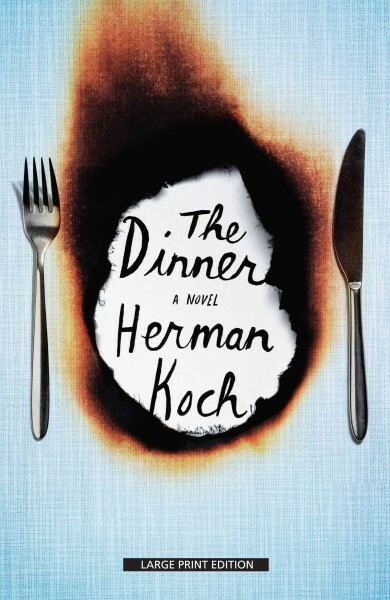 There is humor here, and sorrow, and as Jick learns more about his parents’ early lives and about his brother’s longing to live his own life he begins to chart his own path to adulthood. Doig takes a look at the earlier history of the Two Medicine country in the second novel in the series, Dancing at the Rascal Fair, and brings the story up to date in Ride with Me, Mariah Montana. 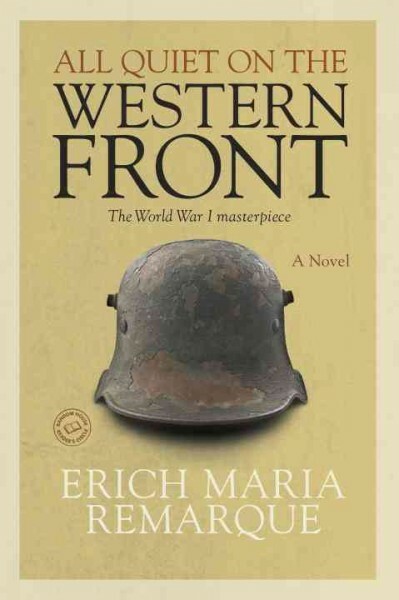 Of all the novels which emerged from the War to End All Wars, All Quiet on the Western Front is surely the greatest. While its imagery and the episodes it recounts did not exactly break new ground, Remarque captures both the external devastation of the war and the internal havoc it wreaked on a generation of soldiers. The fact that this story is about Paul Baumer, a German, matters little – it could be about Paul Bois or Paul Wood, or any young man from any country affected by the War. They saw the same horrors, suffered the same degradation, endured the same unendurable lives. But there was a difference even within the armies, and All Quiet on the Western Front unflinchingly told readers how an entire generation was lost. Paul and his classmates join the Army en masse under the exhortation of their schoolmaster. Filled with patriotism and the orderly knowledge only young men fresh from the classroom could retain, they enter their training regime and begin to learn the ways of a random world. When they arrive at the front, they learn entirely new lessons about a chaotic world striving to kill them. They serve with men of all classes and from all regions of Germany, all of whom are gradually descending to the most basic levels of humanity. Paul and his friends have the farthest to fall, but the trenches eventually make all men equal. When I was very young, All Quiet on the Western Front gave me a graphic illustration of war stripped of its illusions of honor. Only as an older reader did I become aware of Paul’s complete loss of self. Having gone straight from childhood to a debased manhood, Paul realizes that he has nothing to return to – unlike the older men, he cannot take up a pre-war life. Unlike the younger, he cannot return to a meaningful school life. That changed my understanding of the ending, which I had remembered along the lines of Richard Thomas’s portrayal of Paul in the 1979 movie. Remarque’s original is far more tragic. The original title, Im Westen nichts Neues, translated literally from German means “In the West, Nothing New.” Whether Remarque meant it as literally as the translation suggests, or as a warning in light of the increasing aggression and xenophobia characterized by the rise of the Nazis is hard to say. Unfortunately, it seems that Ecclesiastes was and continues to be right. Find All Quiet on the Western Front in the WRL catalog.